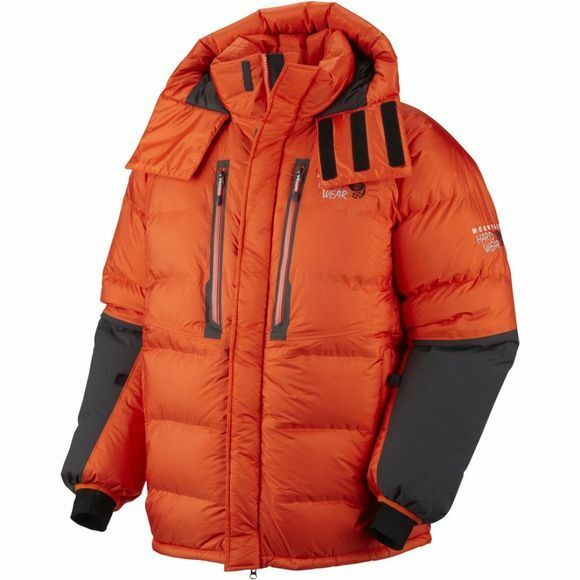 Built to withstand the harshest conditions atop the world's highest peaks. The Absolute Zero Parka from Mountain Hardwear has a fully welded, waterproof construction with 800 fill down to keep you warm and toasty in the coldest conditions. 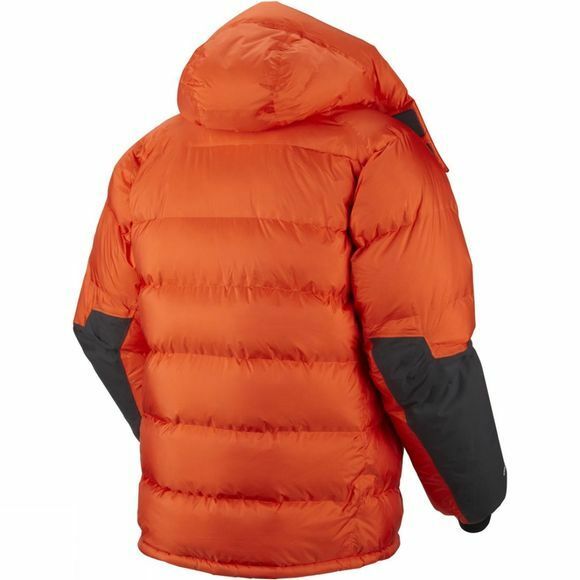 It has a low profile, insulated, fixed hood with one-handed drawcord for quick fit adjustments whejn the weather starts to turn and the one-handed hem drawcords allow for quick adjustments around the bottom of the jacket. Soft, stretchy, internal comfort cuffs seal in warmth and maximise heat retention around the core of the body and zipped handwarmer pockets are a great place to stuff gloved hands for a little extra protection. There is also an internal water bottle pocket so you can stop your drink from freezing in cold temperatures and a mesh stash pocket allows you to store other items.